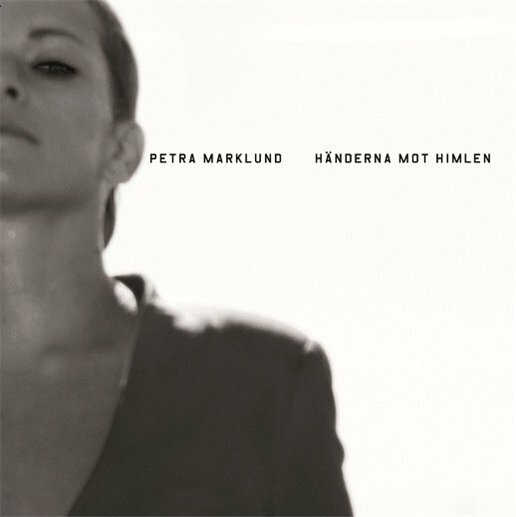 Today's big premiere of Swedish radio was comeback of Petra "September" Marklund who has made a presentation of her brand new single "Händerna Mot Himlen" from upcoming album "Inferno" which is out on October 17th under Petra's own name. Petra was working with Kent's Jocke Berg on her album and you can feel it very well in "Händerna mot himlen" which is basically 70% of Jocke melodically (I would be less surprised to find the track on Kent's album) and 30% of Petra - her voice (Petra is still unique vocalist that you can hardly mix up with anyone else) and dance-beat breathing with Petra's glorious dance the past ("Satellites" maybe?). I expected the song to sound like nothing out of English part of her last album and really wanted her to do a follow-up of that dark electronic side she has presented at Så Mycket Bättre. But surprisingly it also doesn't follow that direction. Instead we have a Kent's melancholic song wrapped in strings-meets-dance production concept. Remember Andreas Lundstedt describing "Aldrig Aldrig" as a melancholic track in Swedish that you can dance and cry with? This could be a proper description of "Händerna Mot Himlen" as well and the same rhythm and strings makes these tracks almost relatives. Anyway I believe this direction will become more successful for Petra than for Andreas and right what her career in Sweden needs at the moment. To show that she's not another dance-artist but a serious musician able to show some serious stuff. Also don't miss September's concert (when Petra was September) recorded by Swedish radio in Linköping's Stadsfest that you can listen today here.